Sam's Delicatessen is located on Nuuanu Avenue in Honolulu, Hawaii. 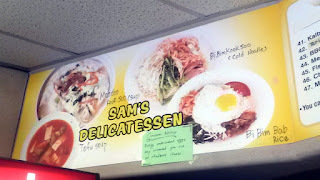 Sam's main offering is Korean food, although they may also have other local specials and bentos (smaller plate lunch portions). 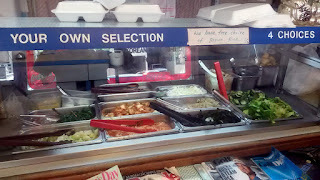 Several of their plates come with choice of various vegetables, which you'll also pick after giving them your order. 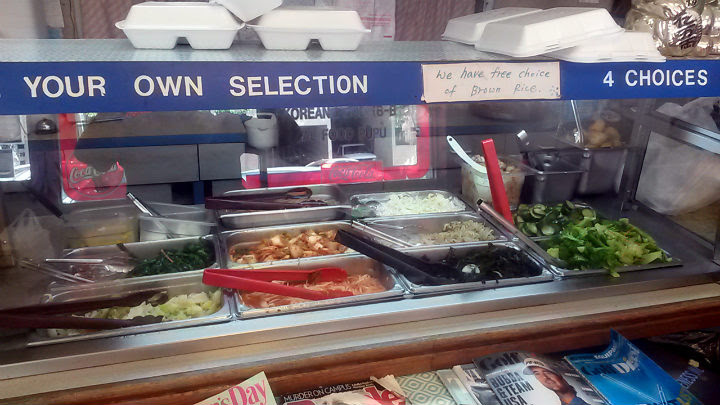 Options include kimchi, watercress, potato salad, macaroni salad, and long rice. Everything is generally made to order. Depending on how many people are already waiting, the wait time can be usually around 5 to 15 minutes. 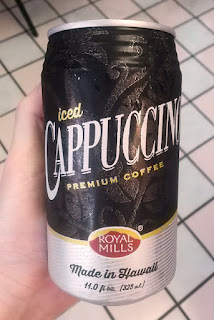 While I waited for my order, I had a canned ice cappuccino drink made in Hawaii. 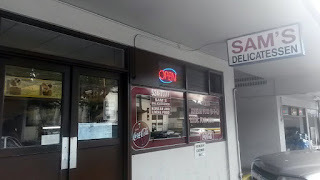 It was obviously filled with cream and sugar, ingredients I usually don't add in my coffee. 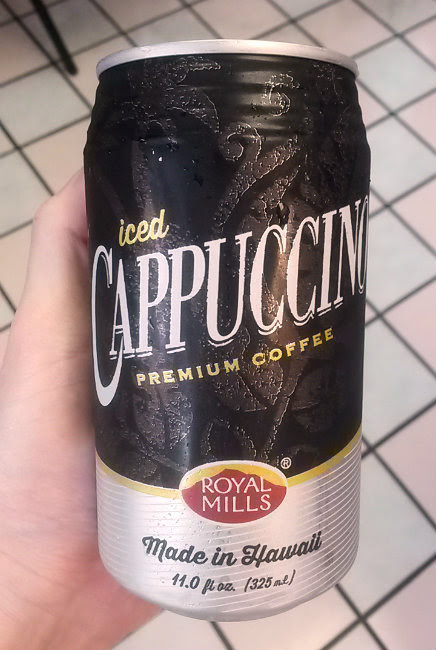 Yup, I'm a black coffee drinker and regret nothing. The iced coffee, while good, felt more like having dessert first. 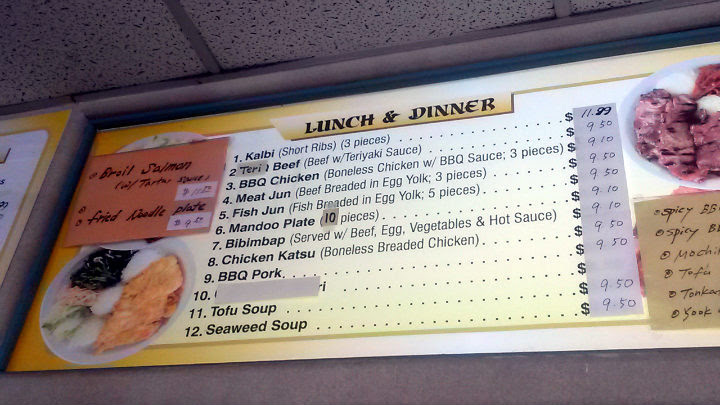 Still, pandas are always in favor of having dessert first anyway. 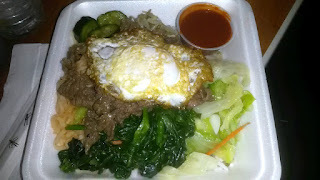 I got the Bibimbap ($9.10), served with tender beef, fresh and pickled vegetables, and over easy egg on a bed of rice. 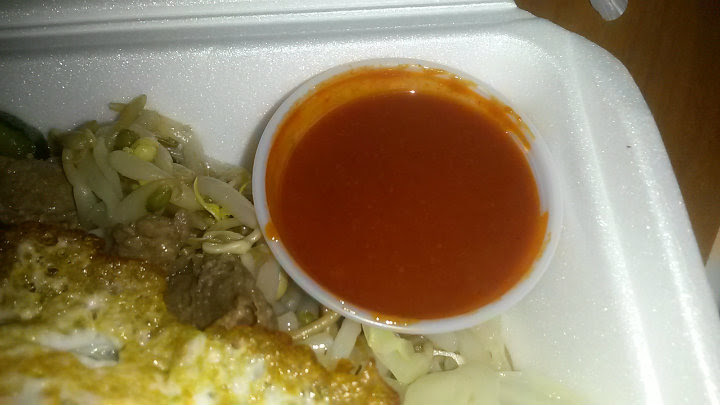 Gochujang (Korean hot sauce) is on the side. 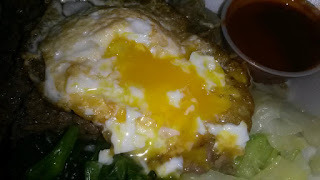 Overall, a well-made dish, and I liked the sauce on the side so that I could add however much I wanted. This avoids getting a dish oversaturated in gochujang. 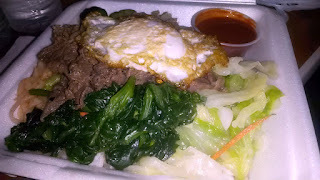 I felt $9.10 was a reasonable price for this. Vegetable sides on my Bibimbap included pickled cucumbers and sprouts. 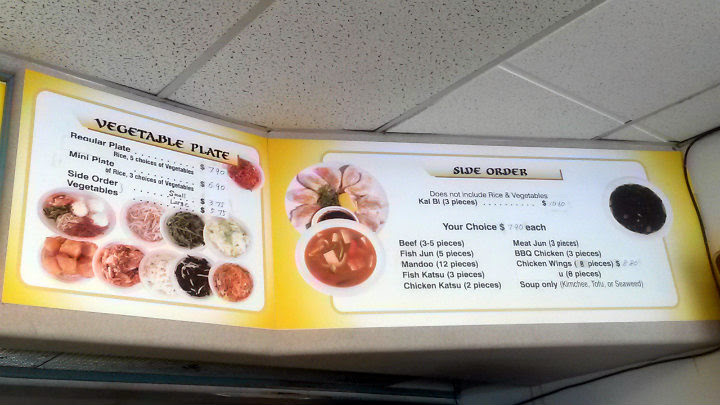 You can get a number of dishes here, including BBQ chicken, chicken katsu, mandoo, kalbi, meat jun, and fish jun. 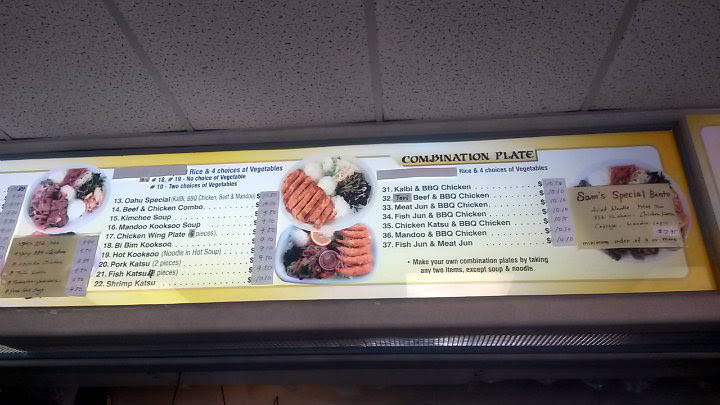 Even combo plates usually are just above $10.